Charlotte Sanchez-Tyler, of Daytona Beach, Florida, went home to be with the Lord on August 2, 2018 in Daytona Beach, Florida. She was 96 years old and was a native of Bonifay, Florida. Charlotte was born on October 10, 1921 to the late Eustiza Perrier and Nemia Adusta (Thomas) Sanchez in Bonifay, Florida. She was of the Methodist Faith and grew up in the New Bethel A.M.E. Church of Bonifay, Florida. Charlotte received her public education in the Holmes County School System. After high school she pursued her career in education and music, receiving a BS and a MA in Education and Music. She then moved to Daytona Beach, Florida where she resided for 33+ years until her demise. 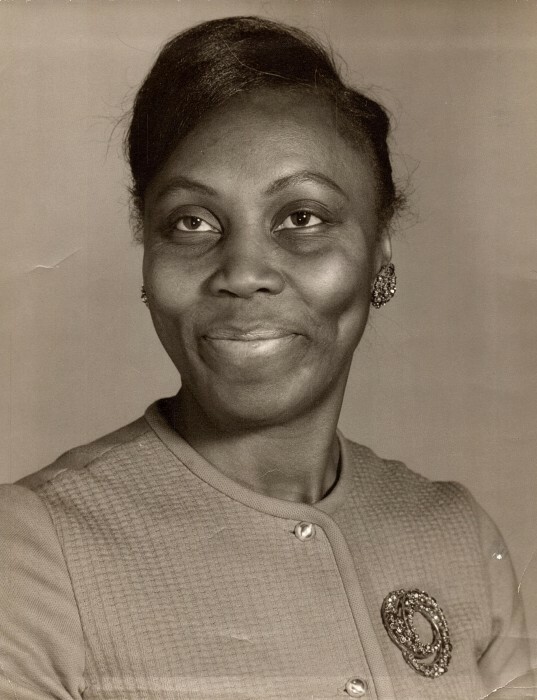 Charlotte was an avid teacher and a dynamic Opera/Jazz singer in New Jersey and New York. She was married to the late, renowned saxophonist/band leader, James F. (Jimmy) Tyler. Together they traveled the world, playing, singing, and (loving each other as only they could) and spedning time with their families. She leaves to cherish her memories four (4) nieces: Amelia Sanchez-Norman, Shirley Johnson, Arthur Jean Johnson, and Gwendolyn Adkins; four (4) nephews: Adolphus Sanchez (Mabeline), Col. Washington Sanchez (Gloria), Carlos Sanchez (Shirley), and Presiding Elder Joseph Sanchez; along with a host of great-nieces & nephews, other relatives and friends.